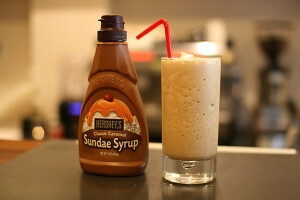 Add all ingredients except the whipped cream and chocolate sauce into a blender and blend until desired thickness.Pour into a collins glass.Top with whipped cream and chocolate sauce. 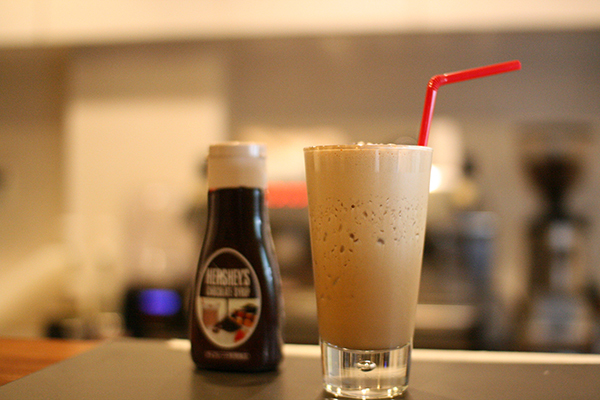 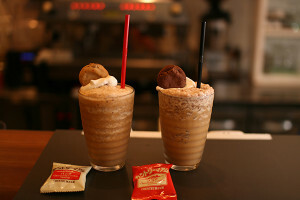 Today’s drink is Mocha Frappe. 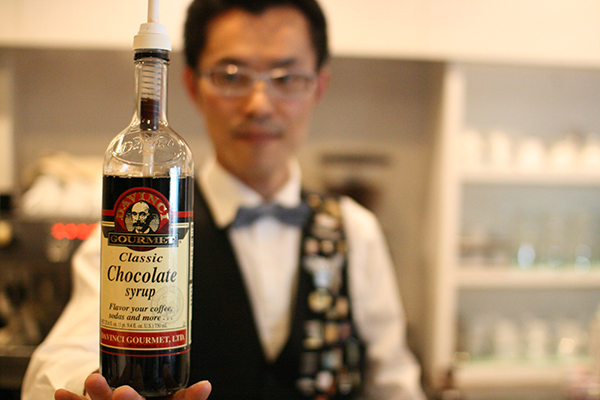 Pour 37.5ml of chocolate syrup into a blender. 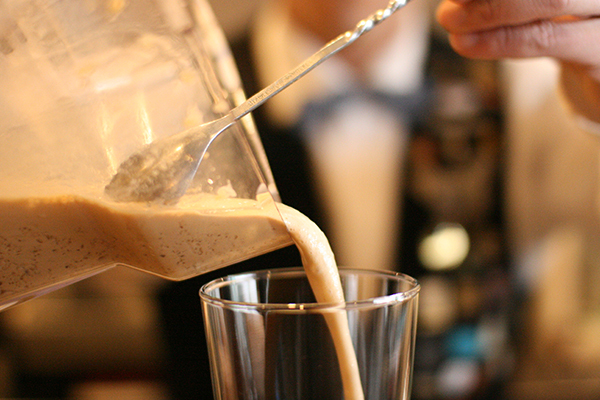 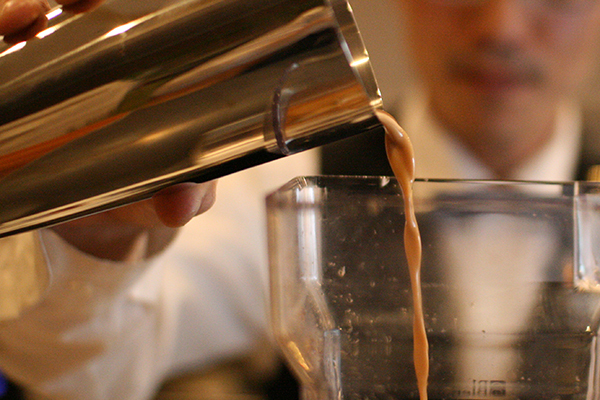 Pour 110ml of espresso-base(mixed espresso and milk-the ratio of 1 to 2.4) into a blender. 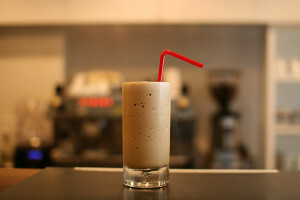 Add 150g of crushed ice into a blender.blend well at high speed. 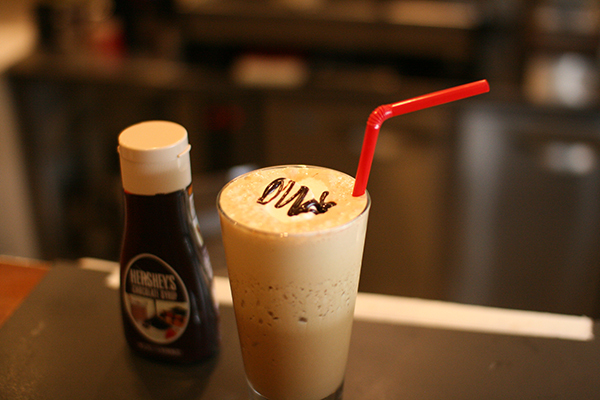 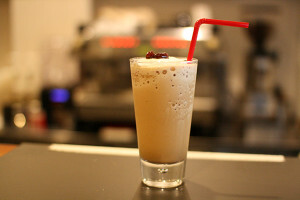 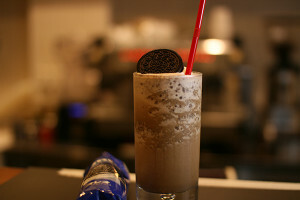 It looks like Espresso Frappe. 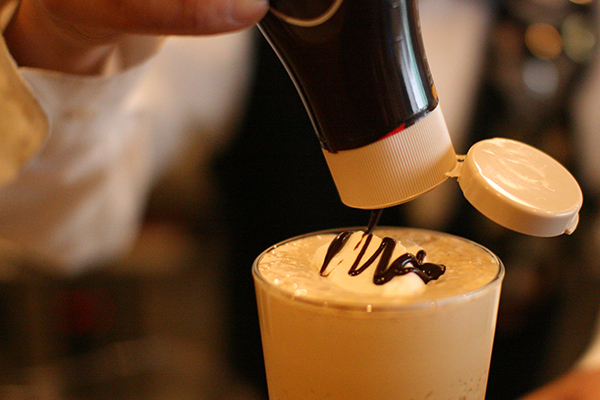 Put whipped cream and chocolate sauce.